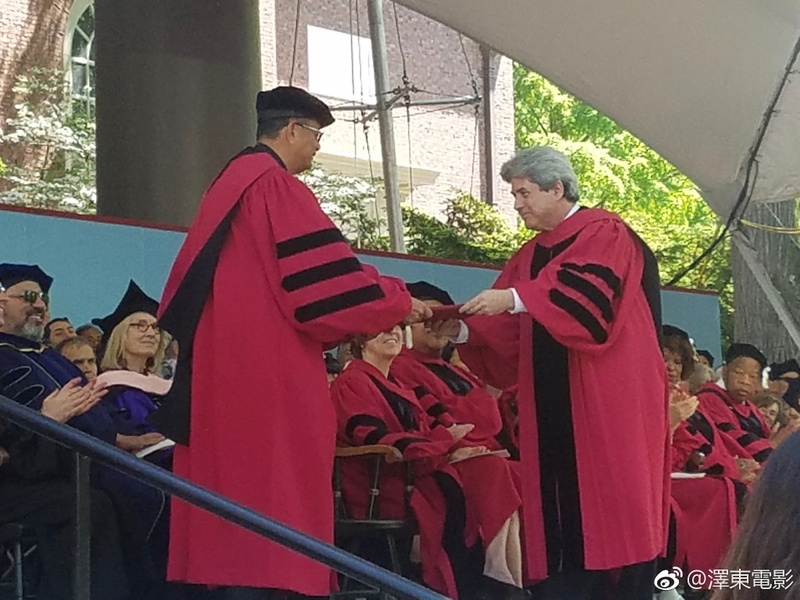 On May 24, Harvard University awarded seven honorary degrees on its commencement day. 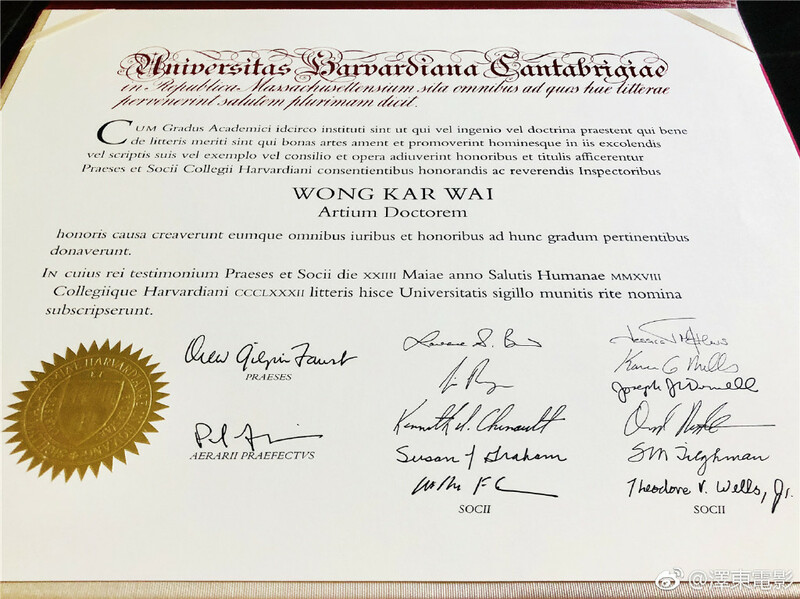 Among the seven recipients, famed Hong Kong filmmaker Wong Kar-wai received Doctor’s degree in Arts. 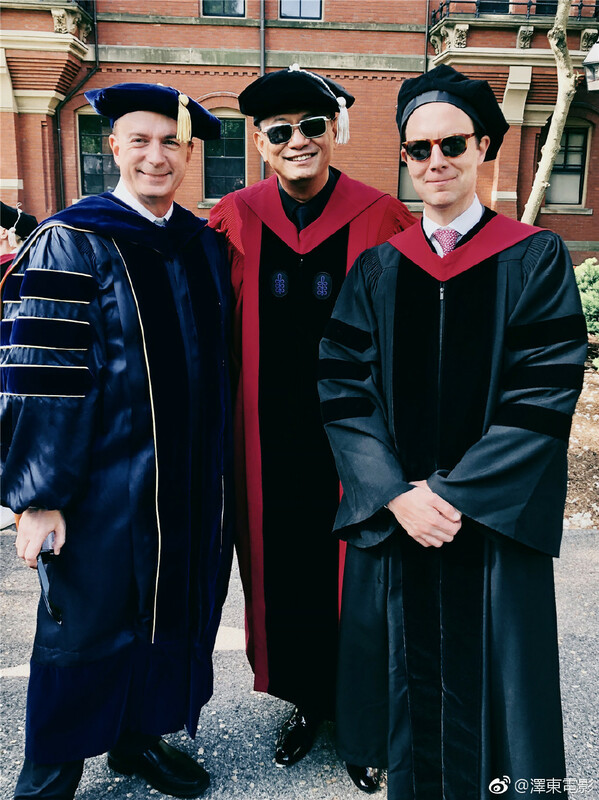 This makes Wong the first Asian filmmaker who receives such an honor from Harvard. 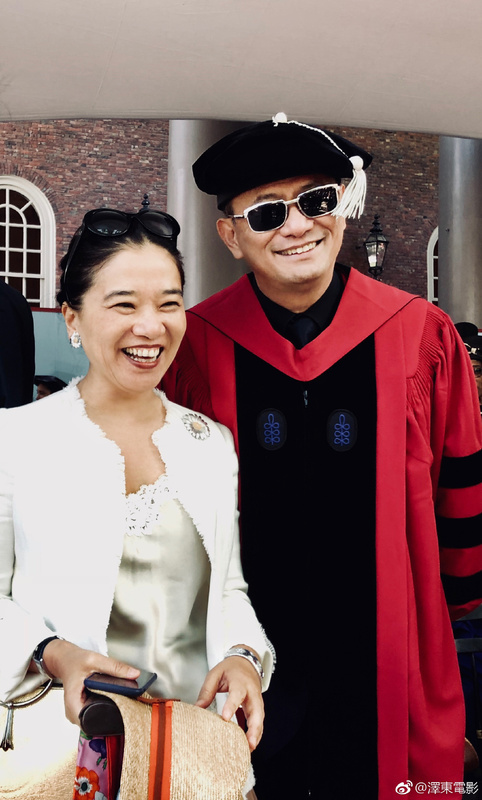 In the official description published on the university’s website, Wong Kar-wai is described as someone who “stands among modern cinema’s most influential auteurs.” Wong Kar-wai attended the award ceremony with his wife. In his acceptance speech, he thanked his family, friends, colleagues and the two cities where he was born (Shanghai) and grew up (Hong Kong). Wong Kar Wai stands among modern cinema’s most influential auteurs. His films are known for their vivid visual imagery, their nonlinear narratives and complex characters, and their moving evocations of love, longing, and loss. Born in Shanghai, he moved at age 5 to Hong Kong, whose culture figures prominently in many of his movies. His 2000 film “In the Mood for Love,” which he wrote, directed, and produced, is widely regarded as one of the finest motion pictures of the early 21st century. His oeuvre of award-winning films also includes “As Tears Go By” (1988), “Days of Being Wild” (1990), “Chungking Express” (1994), “Fallen Angels” (1995), “Happy Together” (1997), “2046” (2004), and “The Grandmaster” (2013). Past recipient of the best director prize at the Cannes Film Festival, and past president of the juries for the international film festivals in Cannes, Berlin, and Beijing, he has been recognized with numerous honors, including the Stockholm International Film Festival’s Visionary Award, the Grand Lyon Film Festival’s Prix Lumière, and the International Film Festival of India’s Lifetime Achievement Award. 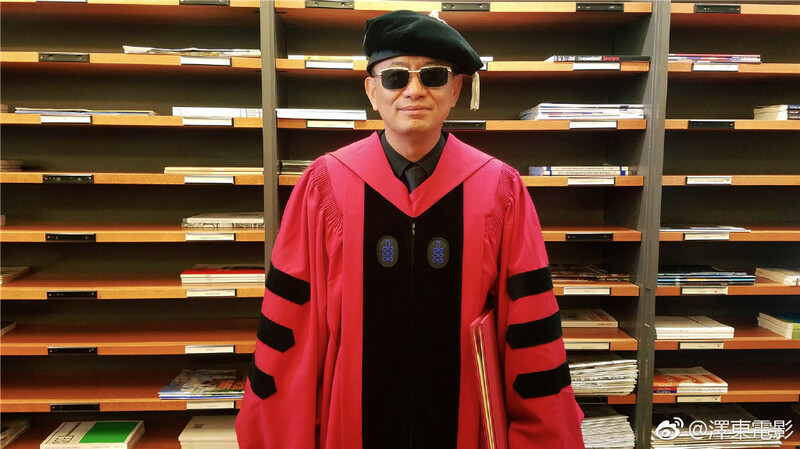 a composer of electronic and computer music who is a professor at Columbia. 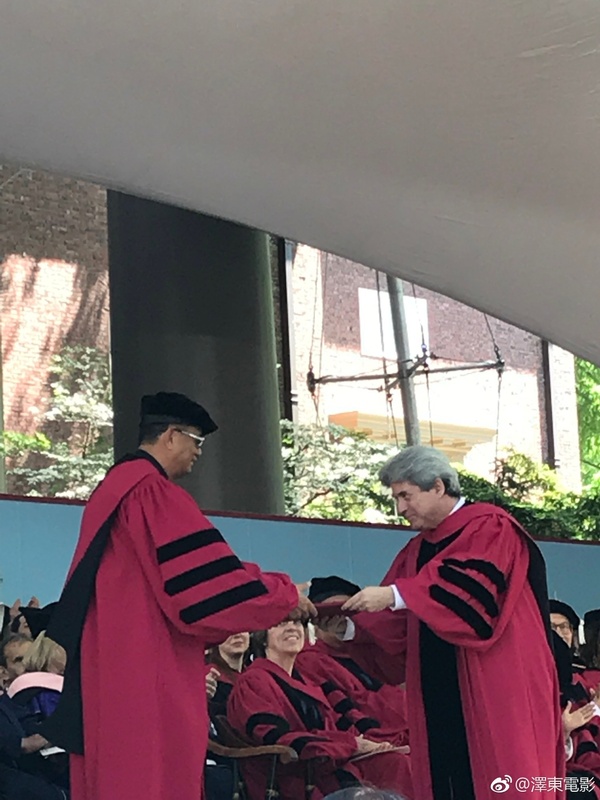 Their fellow honorands include a biological oceanographer, a public-health leader (and likely sentimental favorite as a past Harvard dean and provost), and a former head of state who helped restore democracy to his country. Nor is it clear whether there is a designated role for a honorand-performer this year, a recurring motif of Faust-era Commencement galas. Past performers have included soprano Renée Fleming in 2015, soul singer Aretha Franklin (2014), tenor Plácido Domingo (2011), and trumpeter Wynton Marsalis (2009). The honorands are listed below in alphabetical order, not in the order of conferral of degrees. For details on the conferrals, check back for coverage of the morning ceremonies later today. Wong Kar Wai, Doctor of Arts. 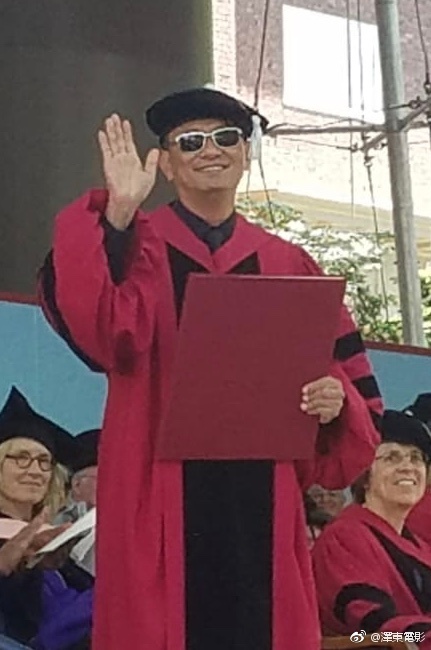 Writer and director Wong Kar Wai is an internationally celebrated filmmaker, rarely seen without his trademark sunglasses. Born in Shanghai, he emigrated with his parents to Hong Kong, where his father managed a nightclub. Reportedly, he did not speak the local language, Cantonese, until he was 13. He did immerse himself in pop music and city nightlife; both have left deep grooves on his work. Wong is best known for his loose trilogy of melancholy romances set in Hong Kong: Days of Being Wild, In the Mood for Love, and 2046. Time and missed moments are a central theme; his narratives tend to be fragmented and nonlinear, perhaps reflecting his famously haphazard work process, which prizes fresh reactions over order, discovery over deliberation. Since the breakout success of Chungking Express in 1994, Wong has been known, on the day of a shoot, to distribute scripts that seem to have been scribbled longhand; he has often summoned actors back on a whim. The director has also leant his lush, moody style to martial-arts epics like Ashes of Time and The Grandmaster—and also to his sole English-language work to date, an American road movie, My Blueberry Nights (in which he cast Natalie Portman ’03 as a professional, if unskilled, poker player). 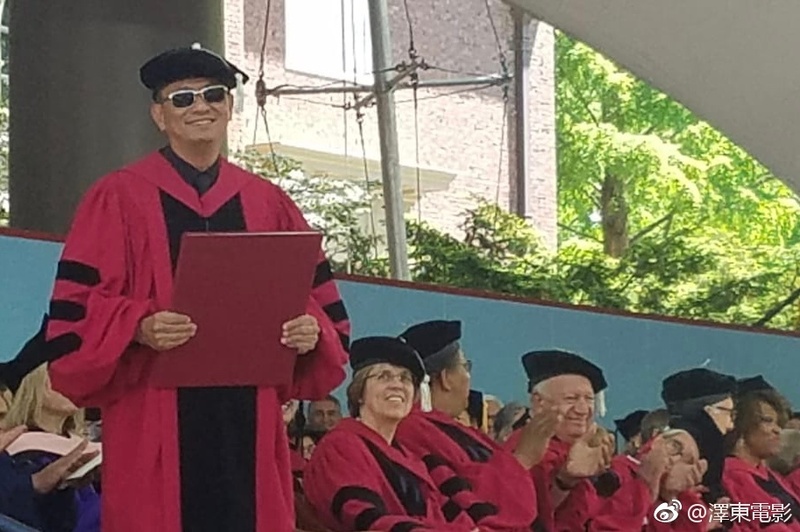 Three key WKW films mentioned at the Commencement, Chungking Express, In the Mood For Love and Grandmaster Starring Tony, Tony and Tony . Many thanks for your effort, yitian !